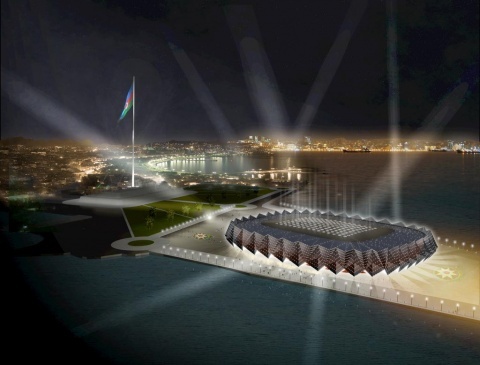 The official opening of the 2012 and 57th edition of the Eurovision song contest is being held in the capital of Azerbaijan Saturday evening. The ceremony will take place in downtown Baku, not far away from the so-called Crystal Palace or Crystal Hall, which has been built especially for the event. The semi-finals will be on May 22 and 24, while the final is on May 26. Roma pop folk diva, Sofi Marinova, is representing Bulgaria in the contest. She will perform on May 24 at the second semi-final, which coincides with the Day of Slavic Script and Culture. The other countries in it are Serbia, Macedonia, the Netherlands, Malta, Belarus, Portugal, the Ukraine, Slovenia, Croatia, Sweden, Georgia, Turkey, Estonia, Slovakia, Norway, Bosnia and Herzegovina, and Lithuania. They are also the only ones that can vote for the Bulgarian song. Of them, 10 will go to the final on May 26. Marinova was chosen at the end of February by the BNT viewers and became the first ever pop folk singer to represent the country in Eurovision. She performs the song "Love Unlimited" in Bulgarian. The Bulgarian National Television, BNT will air live the semi-finals and the May 26 final.